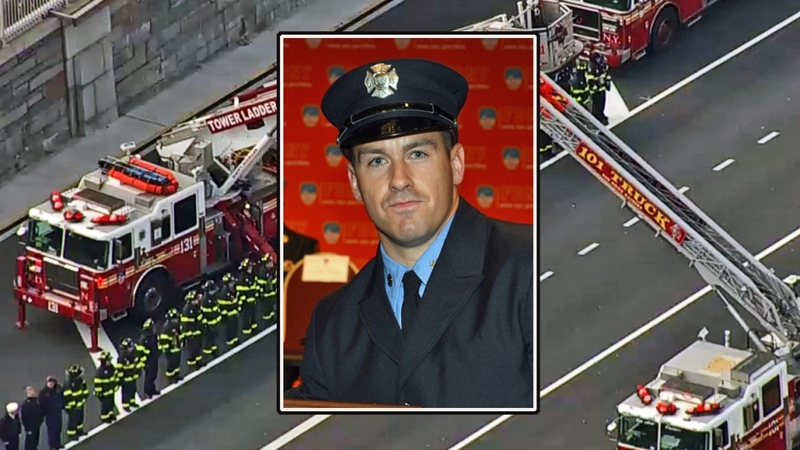 Throngs of firefighters stood at emotional salute Monday as they watched an ambulance carry away the body of a 30-year-old FDNY firefighter who died when he fell off a Brooklyn bridge while helping car crash victims the night before. Steven Pollard, a probationary firefighter who came from a family of FDNY firefighters, plunged 52 feet to the concrete below the Mill Basin overpass when he responded to an overturned wreck on the westbound Belt Parkway. He went to jump over a 3-foot gap in the road to get from the eastbound to the westbound lanes to help the crash victims but slipped through, officials said. Pollard, who was assigned to Ladder Company 170 in Brooklyn, was pronounced dead at a hospital a short time later. Hours later, hundreds of FDNY personnel and vehicles lined highways and side streets for the procession from the medical examiner's office to a funeral home. Many bowed their heads in prayer; FDNY boats also spouted huge plumes of water, some colored blue, from the river. 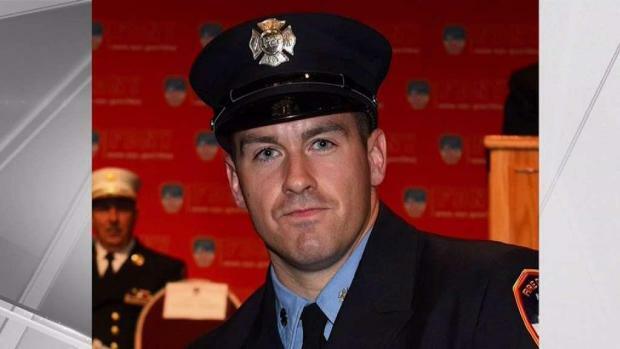 Fellow firefighters and the public are mourning 30-year-old Steven Pollard, the firefighter who fell to his death while responding a crash on a Brooklyn highway. Rana Novini and Roseanne Colletti report. Pollard had been on the job for a year and a half, and just finished probation; he's the 1,151st member of the FDNY to die in the line of duty. "It's an incredibly sad night for the Pollard family, for the Fire Department family, and for our city," FDNY Commissioner Daniel Nigro said early Monday. "He lost his life tonight in the process of helping others." The crash victims were taken to hospitals but are expected to survive. Pollard's captain at Ladder 170 said that in just 14 months, Pollard proved himself a great firefighter. "Any job we gave him, he accomplished it," said Ladder 170 Capt. James Quinn. "Any job we asked him to do, he did it well." "It's a painful day for the Pollard family. Painful day for the Canarsie family, and most of all for the fire department." The city and FDNY are mourning the death of a probationary officer who fell to his death from the Belt Parkway while responding to a car accident. Tracie Strahan with the latest. Pollard’s father, Ray, is a retired FDNY firefighter who was on the job for 31 years for Ladder Company 102 in Brooklyn. His brother, Ray Jr., is currently an FDNY firefighter and has been for 11 years for Ladder Company 114. He is also survived by his mother. Mayor de Blasio went to the hospital after the accident. "This is a family who has done so much for New York City and now they're going through this loss and this pain. It's a very, very tough situation," de Blasio said, adding "Think about what his mom and dad are going through right now losing their son at just 30 years old." Pollard's captain said the department was in the process of presenting him his Ladder 170 patch. "It was going to be on his frontpiece," he said. "He earned this patch. He passed his probation with flying colors. This patch will be on his helmet that we will present to his family at the funeral." Two men inside one of the crashed vehicles were seriously injured, Nigro said. The road was shut down for hours following the crash, but has since reopened. 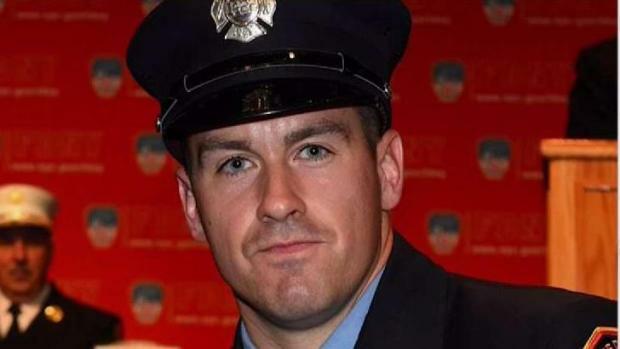 Steven Pollard, 30, is the 1,151 member of the FDNY to die in the line of duty. Tracie Strahan and Katherine Creag report. The NYPD said on Twitter that "our hearts are with our @FDNY colleagues tonight." Fellow firefighters are not the only ones mourning Pollard's death. The Canarsie neighborhood where he worked is also stunned by the loss. Juan Tejeda, who works in the deli directly across the street says he immediately recognized Pollard when his son showed him a picture after news broke of the tragedy. "Last night he showed me on his cellphone and I recognized him," Tejeda said. "So sad, oh my God." Tejeda said Pollard, who was a frequent customer, came in just hours before the tragedy. "He never talked too much, you know, but he was a nice guy," he said. Another deli employee, Ahmed Almashriqi, said Pollard deserved to be among New York's bravest. "A person who didn't think twice about his life, but just jumped to help others I think is a hero," he said. The last time an FDNY firefighter was killed in the line of duty was last year when 15-year veteran Michael R. Davidson died battling a blaze at an Edward Norton film shoot in Harlem last March.